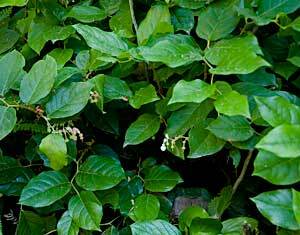 An upright sprawling evergreen shrub 4- 5′ tall with leathery egg shaped leaves. White or light pink urn shaped flowers that droop. Reddish to dark purple edible berries. 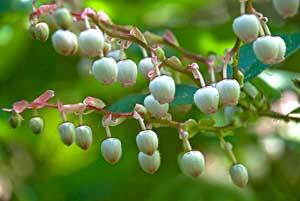 Found at low to medium elevations from forests, rocky bluffs to the seashore. Native to western coastal states and B.C.